LITTLETON, Colordo (June 22, 2018) -- There's no two ways about it: AJ Ott was Ram tough on Friday. There are examples of greater margins of victory in the finals of the CGA Match Play than the one the Colorado State University golfer dealt out this week, but not many. 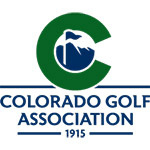 When the player from Ptarmigan Country Club beat University of Colorado golfer Ross Macdonald, from the Country Club at Castle Pines, for the title in the CGA's oldest championship on Friday, it was by a formidable 9-and-8 score. In the 118-year history of the tournament, that made it into the top five in terms of most lopsided results in scheduled 36-hole finals for this event. -- 12 and 11: Brandt Jobe over Bill Fowler in 1985. -- 12 and 11: Harold Fisher over D.B. Ellis in 1909. -- 10 and 9: Zen Brown over Tom Glissmeyer in 2007. -- 10 and 9: N.C. "Tub" Morris over E.A. Campbell in 1927. And there are two other finals that matched the 9-and-8 score from Friday at The Club at Ravenna in Littleton. But suffice it to say that Ott's performance was a rarity. In a matchup of two friends who happen to play at rival college programs in Colorado, the Fort Collins resident never trailed and ended up playing the 28 holes of the match in 8 under par, with a few concessions thrown in that might have lessened that total slightly. It's the first CGA championship for Ott (left and above), who was the Junior Golf Alliance of Colorado's male player of the year in 2016. "Ross is a year older than me and I've looked up to him since I was 9 or 10 years old. He's one of my really good friends," Ott said. "Just to be able to play him in the final was an honor. I know he probably didn't have his best game today, but a match like that can go either way any time. But he's been a role model to me, honestly, for 10 or 12 years, so it was cool to be able to play him. "With the CU-CSU thing, we honestly just embrace it and have more state pride, so that was really cool. We both play in a lot of the same (college) tournaments, so it's cool to be able to have a match against one another like this. We loved it." "To make it to finals and to play AJ, there's no one I'd really rather lose to," said the 21-year-old. "He's an amazing player. It was fun playing one of your best friends." Ott, a junior-to-be at CSU, birdied six of the first seven holes of the match -- with a bogey on No. 3 -- to grab a 5-up lead. From there on, Macdonald got no closer than 4 down. The 20-year-old Ott shot a 4-under-par 67 in the first 18 and led 7 up. He earned a conceded eagle from 12 feet on the par-4 seventh hole in the afternoon to go 9 up, then halved the final three holes. Had Ott made a 4-foot par putt on the 28th hole, he would have won 10 and 8, but he lipped it out, settling for a 9-and-8 margin. "I didn't think about the margin the whole round because I knew I was playing such a great player," Ott said of Macdonald, winner of two Colorado Junior Amateurs. "I had to leave every hole behind me and focus on my next shot." Ott said he chatted on Thursday night with CSU teammate Jake Staiano, the 2017 CGA Player of the Year, about what to expect in the finals. "Jake has been in a few of these matches, so I asked him if he had any advice on 36-hole matches," Ott said. "He gave me some good input. He said to stay patient, and that was the mindset all day. That really helped." Macdonald (above and below), a former Colorado junior player of the year himself (in 2014), couldn't continue his strong play from Thursday, when he was a combined 8 under par for two matches. On Friday, the 2018 Pac-12 Conference runner-up was 5 over par for the 28 holes. "I couldn't really get it going the whole day. It's a long week," Macdonald said. "AJ and I were both tired and fatigued after playing the Southwestern Amateur (in Scottsdale, Ariz.) last week, then the Match Play. "Getting off to a slow start, especially against AJ, I knew it was going to be tough. I didn't have my best stuff. I tried to fight, but I was just so far back. It was asking a lot. And he wasn't going to stop (playing well). I was just in a hole and I was trying to dig myself out." Each of the two finalists played eight rounds of golf in five days at Ravenna, including six rounds in the last three days. To add to that, Ott was driving back and forth each day to his home in Fort Collins, often with tee times in the 7 a.m. range. "It's been a really long week," he said. "We were both just exhausted all day today. I got up at 3:45 this morning and drove down at 4:30. But I was so excited. It was fun." 18 holes of stroke play qualifying; the top 64 players will be seeded according to the stroke play results. Non- exempt players must pre-qualify. Must be an active member of the Colorado Golf Association.